A medical office needs to be resilient in times of crisis. FEMA recommends that all businesses plan in advance to manage any emergency. They recommend being prepared to assess the crisis situation, use common sense and use available resources to take care of the those involved. During a crisis is the time when patients are at their most vulnerable and when medical offices may need the most support. It is very important that a medical office and all its employees know how an emergency plan operates. Medical office administration staff are ideal at developing emergency plans. One of the most important things for the medical office assistant to do when developing an emergency plan is to consider the potential risks to the medical facility. This ranges from flooding from a nearby river making roads impassable to a chemical plant being in the neighborhood. An emergency may include illness striking the staff and the need for an emergency staffing plan. The medical office may fall into darkness with an electricity outage. Increasingly the risk of computer system failure and hacking is a hazard as more records and systems go digital. It is also recognized in emergency planning that it is impossible to plan for everything as the unexpected can and does occur. Being prepared for common scenarios increases the resilience of the medical office and the likelihood that everyone involved will be safe. Every medical facility needs to be prepared for a crisis and have the proper supplies to combat any situation. Basic supplies include fresh water, food, clean air and warmth. Each employee should have a personal kit that satisfies their specific needs including any medications they may need. First aid kits should be available in case of an emergency. Other items that may be supplied in case of an emergency include a battery-powered commercial radio, extra batteries, flashlights, whistle to signal for help, and tools to turn off utilities. It is important to include the emergency routes out of the medical office. Staff and patients need to be aware of the emergency routes and follow them in case of a crisis. These emergency routes must take into consideration the use of stairs rather than elevators and access for disabled co-workers. There should also be a rally point set for everyone to meet after leaving the medical office. Make sure to account for all medical staff and patients when arriving at the off-site emergency location. The medical office administrative staff should be in charge the day of the crisis. They will be fully in charge of the medical office emergency plan and have the authority to make decisions to keep people safe. The medical office administrative staff will also have the knowledge, skill set and available resources to implement the emergency plan. They will also become ambassadors for new employees and those needing retraining. Once the medical office is aware of potential hazards they can create an emergency plan in case a crisis occurs. Having a contact list of all staff is vital. The plan needs to list the processes to take should an emergency situation occur. An example is a scenario where all the doctors have contracted influenza and are unable to work. Solutions might include cancelling routine surgery and getting colleagues from another medical office to cover for the sick doctors. If there is deep snow, or flooding, some of the administrative work may be continued remotely by staff having access from home. Another critical solution for emergency planning is to make sure computer systems are backed up off site. If the office caught fire destroying computers, it is essential to have access to medical records. 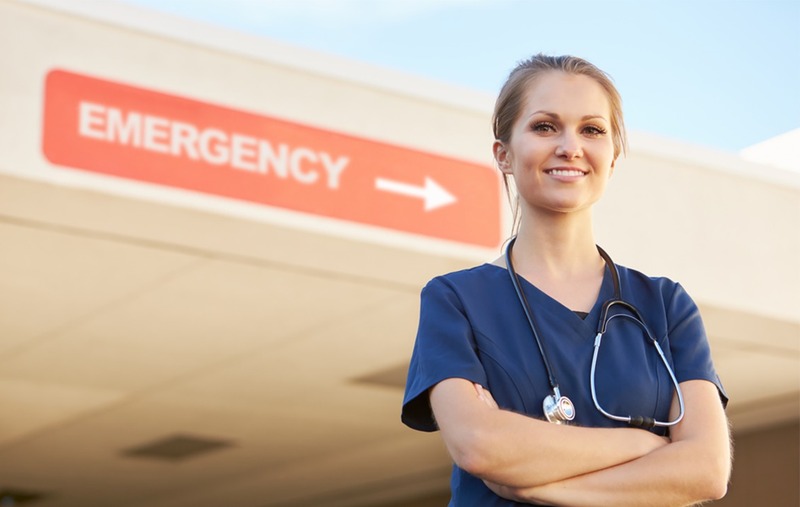 One of the most important things for medical office administration staff to do when developing an emergency plan is to connect to other organizations. The city government may have systems in place that the medical office can take advantage of. The community can come together to plan with local hospitals, and the fire and rescue services in case of a crisis. It is also vital for a medical office to partner with other medical facilities in the area to ensure plans are consistent and there is cross coverage. The medical office can also provide support to a hospital in an emergency if there is an overflow of injured patients. By being part of a larger plan, across a region, there is likely to be consistency with planning in emergencies. One of the most important things to do is test an emergency plan by having a trial drill. This can be organized by the medical office administration staff who also keeps records to ensure everyone has received training. Practice exercises identifying issues that need to be resolved and amended for the medical office emergency plan. The practice also ensures that medical office staff is familiar with the plan and can act in an emergency situation. Emergency planning is a vital part of running a safe medical office. By having an agreed upon and tested emergency plan, a medical office can be as prepared as possible for a real-world crisis. Ready to be a part of a community that takes care of all medical staff and patients? Want to become a medical office assistant? The Medical Office Assistant Program is designed to prepare graduates to work as an entry-level medical front office assistant, receptionist, insurance billing, insurance collector, appointment scheduler, medical secretary, or medical records clerk, in health care centers, clinics, hospitals, ambulatory care centers, and medical billing offices. Contact PCI Health Training Center for more information on how to become a medical office assistant and start a rewarding career today.